It’s been quite a while since we’ve managed to write a blog post. This is not surprising. Mid-June through August are busy times around here. We are harvesting a lot, while still planting, seeding transplanting, and watering. On top of that, we experienced the driest August/September on record (nearly zero measurable precipitation). So we were extra busy moving around drip tape trying to keep everything well watered. Also, we have a two year old. But the real excitement this summer was all the parties! 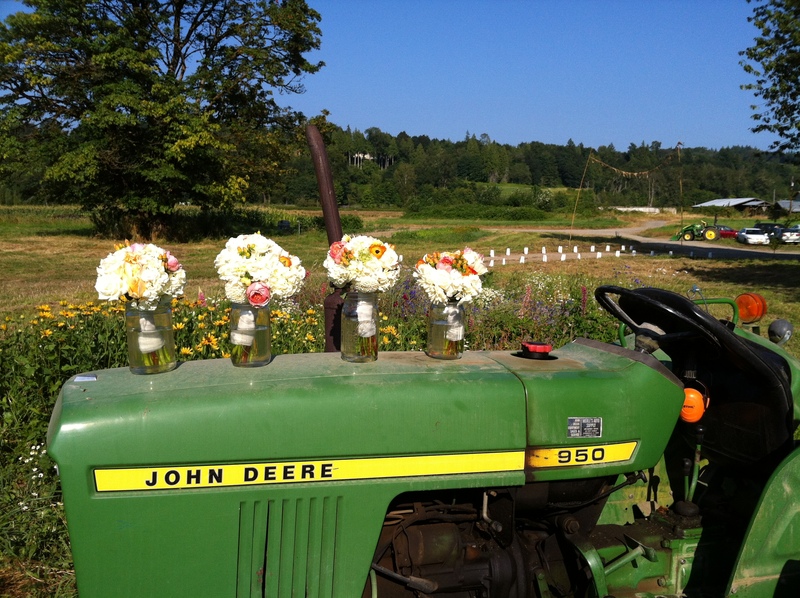 Siri’s sister, Peri, got married on the farm in August. 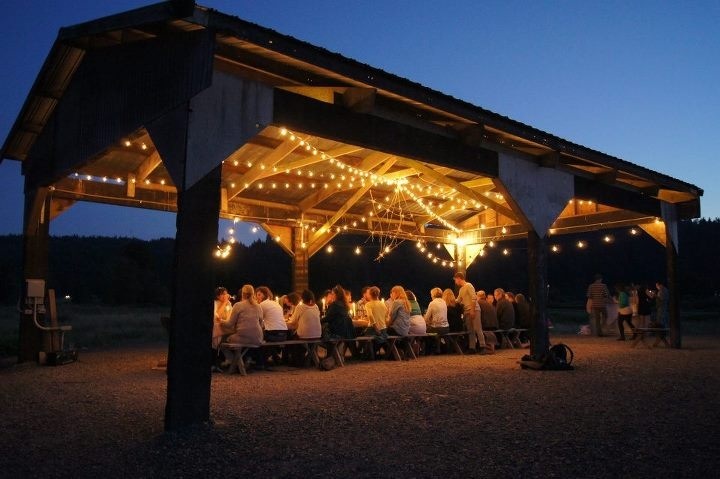 We also put on some awesome dinners, one with Russ Flint who owns Rainshadow Meats, one with Marie Rutherford who cooked at Boat St. Cafe and now The Whale Wins restaurant, and a “barn” dance with Dave Sanford who owns Belle Clementine restaurant. We also had the Food Network out here filming a television show with Russ Flint and Renee Erickson from Boat St Cafe. July and August were busy. When we finally finished cleaning up after all that partying, it was time to start the process of putting the farm to bed for the winter. 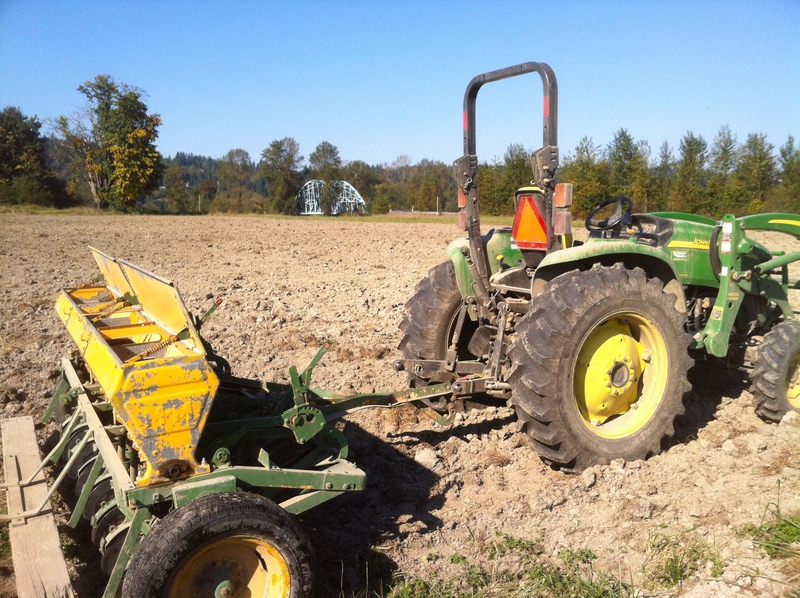 The first step in that process is seeding cover crops into every available field and bed. 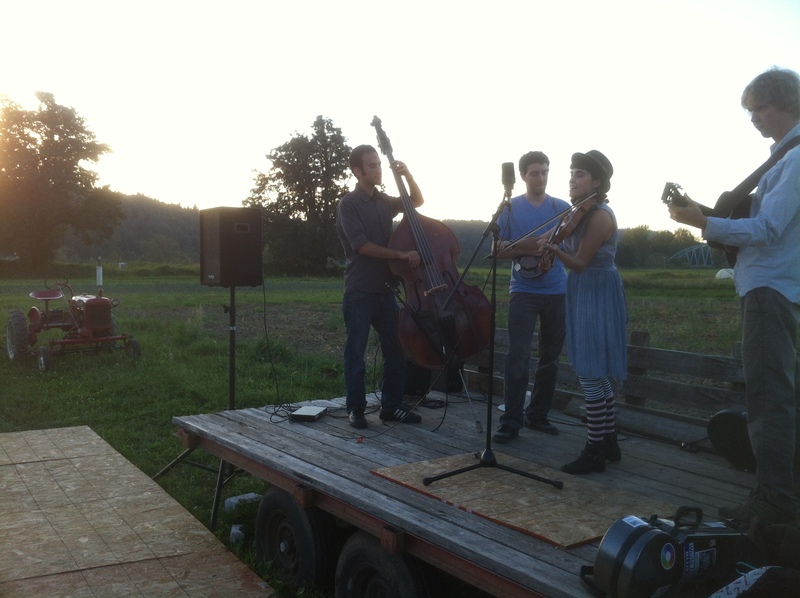 This year, we bought an old grain drill from our neighbors down at Jubilee Farm. Now, a grain drill is a wonderful thing, because it allows you to accurately (or fairly accurately, at least) gauge how much cover crop seed you are seeding, and to do so at an even rate. It also buries the seeds – as opposed to a drop spreader or a cone spreader, which simply lays the seeds on the surface – helping ensure a higher rate of germination and, thus, a thicker stand of cover crops. Once it finally (finally!!) started raining in mid-October our fields of cover crops started germinating. We are very pleased with the tidy looking straight lines of vetch, rye, clover, and peas that are emerging around the farm. 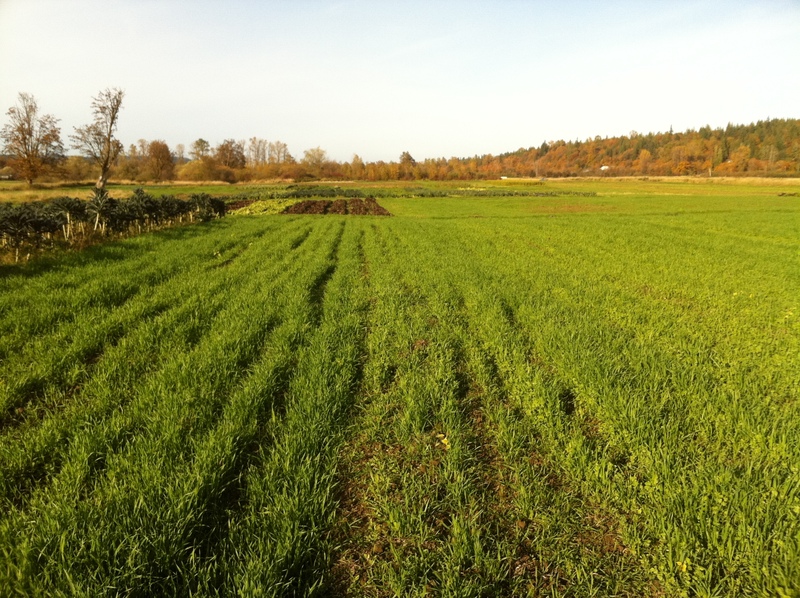 One of the aspects of farming we are most excited about is experimenting with using cover crops and fallowing fields for long periods to increase fertility and battle weeds. As with all money-making ventures, there is a strong urge to maximize what you can earn. And we certainly could farm every inch of our farm, every year, and make more money… in the short term. However, farming the same piece of ground year after year is similar to a mining operation. Nutrients and minerals are extracted, never returned. A more interesting, challenging, and holistic approach is to use long-term fallow periods to increase soil nutrients and organic matter naturally, resulting in higher fertility, better drainage, better moisture retention, and fewer inputs to grow our veggies. 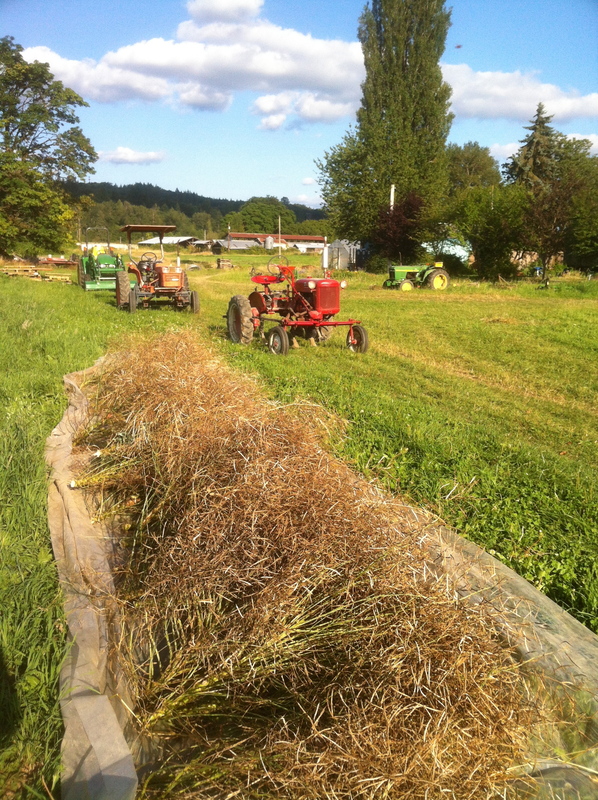 The most basic step towards that future begins every fall when we seed our fields with cover crops. Another exciting project we are carrying out involves saving our own seeds. It all started last year with the disappearance of commercially available seeds for one of our favorite unusual vegetables – Spigariello. Around the same time, farm employee extraordinaire Brady Ryan was getting into small-scale seed saving. One interesting, and key, fact about Spigariello is that, although it’s very brassica-like, it happens to have a white flower. 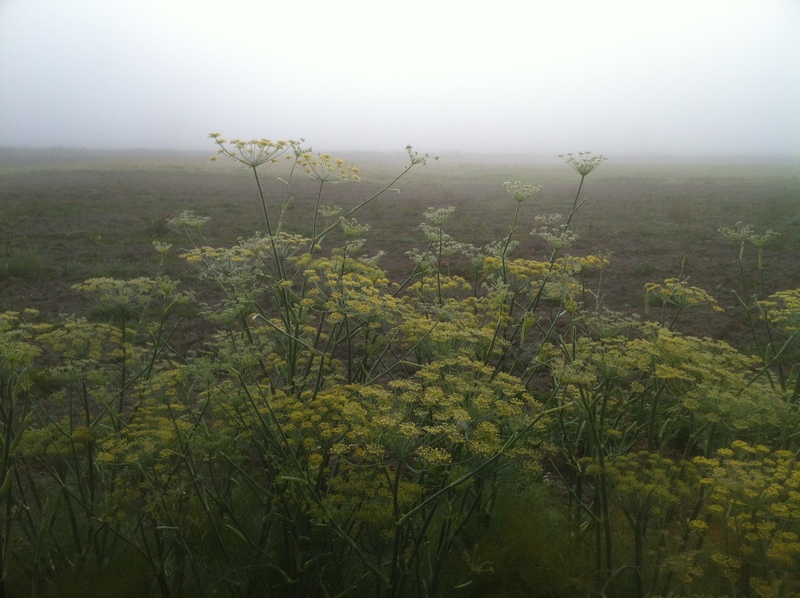 Our hope was that Spigariello wouldn’t cross with any of the many varieties of yellow-flowered brassica that were all over the farm. We had planted our last Spigariello seeds last spring and were facing the prospect of never getting to grow it again. Before we mowed in that last planting, Brady suggested we let the plants make seeds to see whether they’d come up true to type, or whether they would have crossed with anything. When we germinated the seeds, they came up true. This year, we have been growing spigariello from our own seed! Emboldened by our Spigariello seed saving success, Brady has spearheaded saving seeds from varieties of vegetables that are increasingly difficult to find or that we want to see an improvement in their genetics. 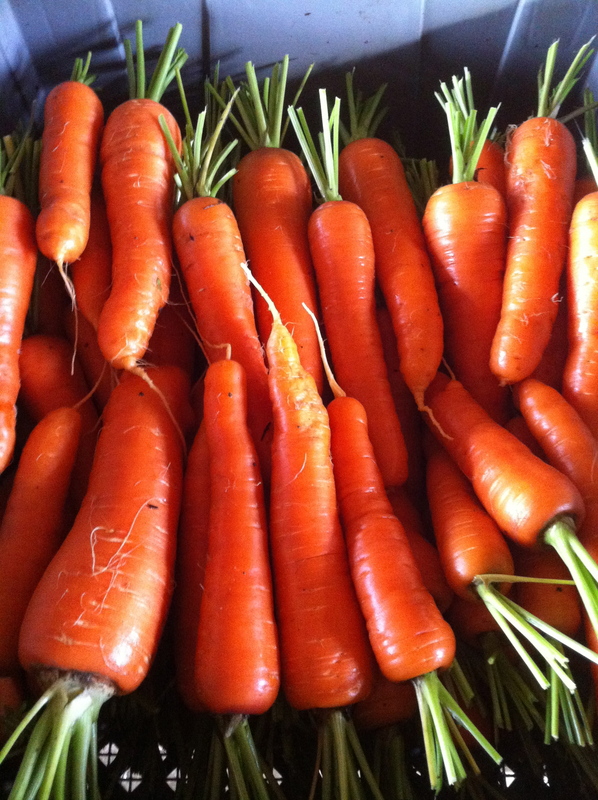 The biggest and nicest Red Cored Chantenay Carrots harvested from our fall planting. We will replant these roots next spring and harvest their seeds by August. We have successfully saved seed from Spigariello, Lacinato kale, and Perfection fennel. We are attempting to save seeds from “Piricicaba” our favorite sprouting broccoli, the seeds of which don’t appear to be available any longer, Red Cored Chantenay carrots (pictured above) because we want more uniformity in the variety, and Treviso radicchio, because it’s our favorite vegetable. Seed saving is a really exciting new project that we will be doing more of in years to come. 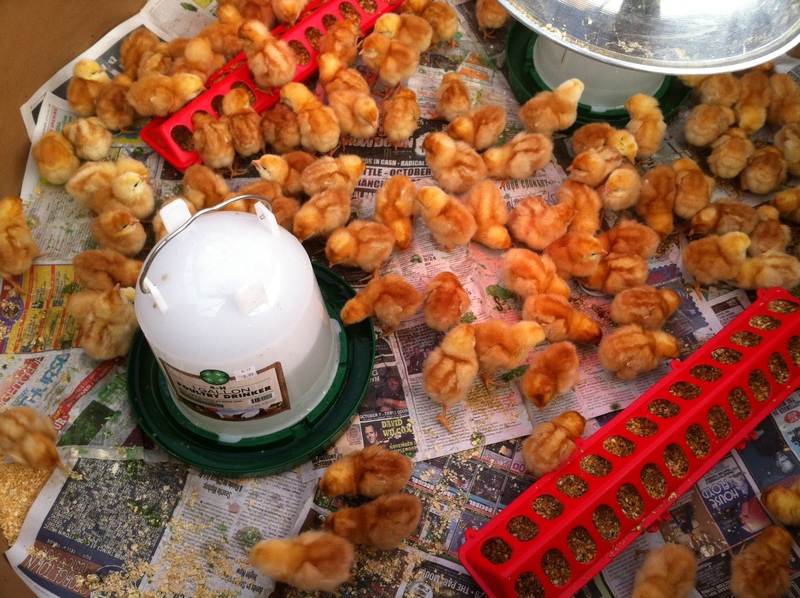 In our last bit of exciting news, yesterday, farm employee Rawley took delivery of 500 baby chicks! As a side project, Rawley is going to raise these chickens to offer an egg-share to our CSA and to bring to market. Right now the chicks are living in our greenhouse in repurposed apple bins, divided into groups of 100. If all goes well, we hope to be able to offer 100 (or more) egg shares next year. The weather has definitely changed, and fall/winter is upon us (it feels more like winter today, with a high of 48 and steady rain). Ordinarily, this is the time of year when things begin slowing down. Yet we continue to harvest lots and lots of food. 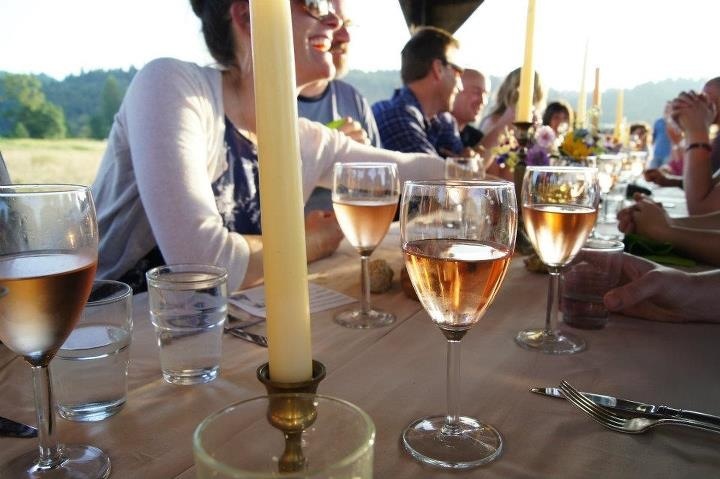 In fact, this week was a record for restaurant sales. 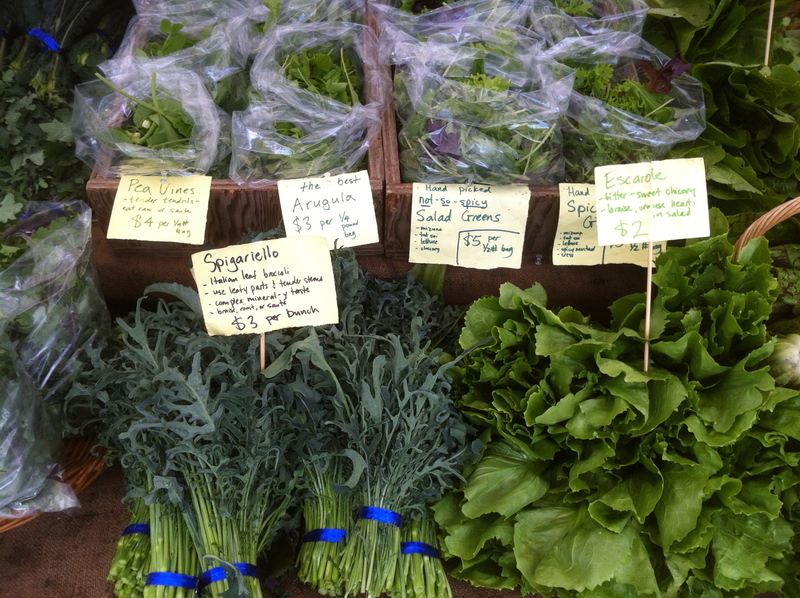 The Broadway farmers market continues to have very good sales. And our CSA continues for two more weeks. 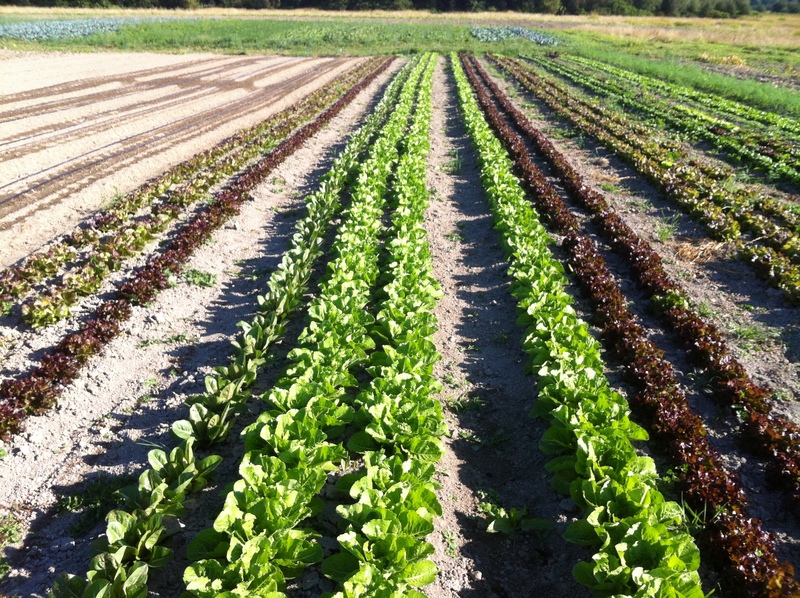 Once our CSA is officially over, we will begin an experimental 3-week CSA addition. Our plan this year was to try growing a bunch of new storage items with an eye towards continuing our CSA well into flood season. Previously, the risk for us in extending our CSA past November 1st has always been the prospect of a flood inundating our fields and making our veggies, according to the USDA, adulterated and unsafe to eat (in reality, there probably isn’t anything unsafe about eating veggies that were submerged in water from the Snoqualmie River, but it’s a national policy). On our new farm, with much more cooler space, we have the ability to harvest and store a lot more food than ever before. So, after a very successful experiment this year growing and storing a modest quantity of daikon radishes, watermelon radishes, storage turnips, storage carrots, celery root, and more, we feel pretty confident that we can extend our CSA season to 25 weeks next year. And so, we soldier on, wet and cold, but happy. Because for us, continuing to harvest lots of vegetables through November is truly the difference between a good year and a great one.